That’s A Funny-Looking Maple Leaf! 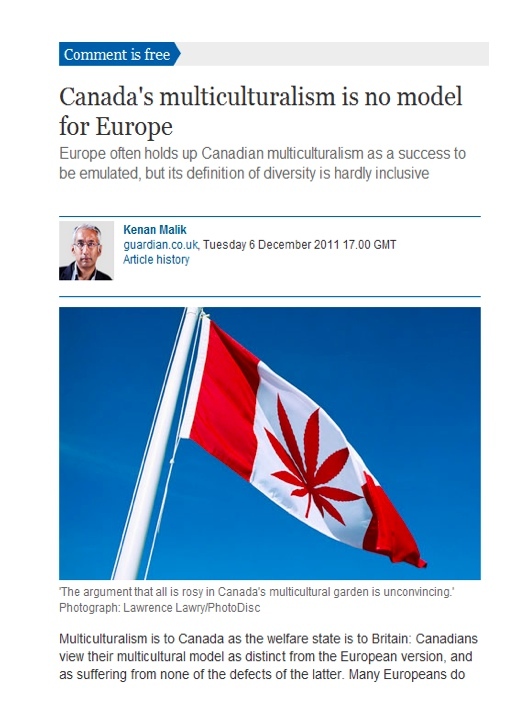 Yes, that’s the Canadian flag, with a…peculiarly spiky-looking maple leaf. It takes me back to my college days! The Guardian did eventually regret the error.